Surgeons | Abdominal Surgery, Gastrointestinal Surgery, Hernia Surgery | Get Information, Contact, Schedule Appointment | Pacific Surgical-General Surgery & Pediatric Urology Serving Portland, Beaverton, Wilsonville, OR - Pacific Surgical P.C. 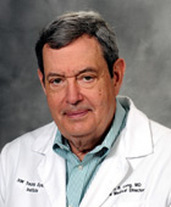 Dr. Long graduated from the University of Maryland Medical School in 1968. Following an internship in medicine, he began his surgical training at Edinburgh University in Scotland, which included a two-year research fellowship in septic shock. He completed his general surgery training at the University of Maryland. From 1973-1975, Dr. Long was a clinical research fellow at the Maryland Institute for Emergency Medical Services Systems (MIEMSS). From 1980-1982, Dr. Long was a resident in Cardiothoracic Surgery at the University of California, San Diego and became an Assistant Professor of Cardiothoracic Surgery and Trauma. In 1982, he was appointed Clinical Director of UCSD Trauma Service. 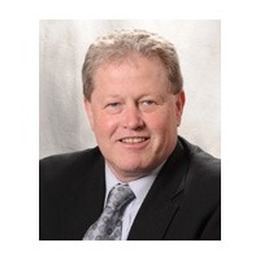 Dr. Long came to Portland in 1983, to become the Medical Director of Trauma at Legacy Emanuel Medical Center, and a cardiothoracic and trauma surgeon at Pacific Surgical, P.C. Thanks to Dr. Long's work and expertise, Legacy Emanuel Medical Center's Trauma Program became the first Pacific NW trauma center to be recognized at the highest level by the American College of Surgeons Committee on Trauma. Through his tenure, he's recruited top nursing, surgical and medical trauma and surgical care specialists with whom Dr. Long has pioneered advanced trauma care in the Pacific NW. Dr. Long is also credited with developing the Portland and Oregon Trauma Systems, making Oregon the first western state to link small rural and suburban hospitals to ASCOT-verified level 1 trauma centers. 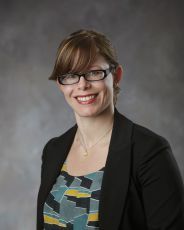 Dr. Long's extensive bibliography includes over 130 publications, numerous book chapters, a co-authored book and several papers on medical decision making. His primary clinical activity is thoracic surgery with a focus on chest trauma and chest wall reconstruction. Dr. Long holds several patents for medical devices that have been developed and tested through the Legacy Research Institute, and are now used internationally. Dr. Long devotes hundreds of hours each year providing outreach education and CQI to rural hospital staff in Oregon and Washington. Dr. Gubler is certified by The American Board of Surgery in Surgical Critical Care and General Surgery and by the American Board of Preventive Medicine. He received his medical degree from the College of Osteopathic Medicine/Surgery and his masters of public health at the University of Washington. Dr. Gubler completed his family practice internship at Naval Hospital Bremerton, Washington, his general surgery residency at the Naval Regional Medical Center Oakland, California, his residency in preventive medicine at the University of Washington and his fellowship in surgical critical care and trauma at Harborview Medical Center, University of Washington. Dr. Gubler's clinical experience includes all aspects of general surgery, surgical oncology, endoscopy, minimally invasive surgery, and surgical critical care. He has a clinical interest in abdominal reconstructive procedures, continues work in clinical research and has published extensively. Before joining Pacific Surgical, Dr. Gubler served with the United States Marines as a flight surgeon. He was also trained in tropical medicine before completing his residencies in general surgery and preventive medicine and his fellowship in trauma and surgical critical care. At the time of his retirement as Captain (O-6) from the United States Navy, Dr. Gubler was Director of Surgical Services on the 1000 bed casualty receiving ship USNS MERCY and Head of a Division of General Surgery at the Naval Regional Medical Center San Diego. After retiring from the Navy, he was recruited to the Legacy Emanuel Trauma Program where he served as the Medical Director of Surgical Critical Care until January of 2013. Dr. Ramzy is an active trauma surgeon and intensivist who is also trained to practice General Surgery. Dr. Ramzy earned his B.A. at Northwestern University, his M.D. at the University of Nebraska Medical Center and an M.B.A. from the University of Oregon. H received his fellowship training in Trauma at the University of Maryland Shock Trauma Center. Specializing in the field of Trauma Surgery, Dr. Ramzy provides surgical treatment, with a focus on critically ill or injured patients. Dr. Ramzy is trained to provide time-sensitive surgical care to repair extensive damage to various parts of the body. In addition to saving lives, he focuses on helping individuals and their families get through severe injuries and critical illnesses. 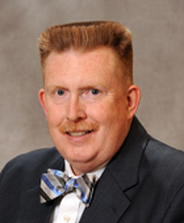 He has served as an EMS medical director from state to local levels, and has lectured in many states. He speaks and provides workshops to health care professionals, EMS providers and business leaders. Dr. Barbosa specializes in critical care medicine and surgery. He received his medical degree at Saint Louis University School of Medicine, completed his residency at San Joaquin General Hospital and finished his internship and fellowship at the University of California - Davis, CA. Licensed to practice critical care medicine and surgery in California and Oregon, Dr. Barbosa also practices at Legacy Emanuel Trauma Clinic. Dr. Cole specializes in trauma surgery. A Navy and Marine Corps Commendation Medal holder, he is Associate Trauma Director for trauma registry, informatics, patient characterization, trend analysis, and alcohol-drug abuse screening and intervention at Legacy Emanuel Hospital. He also participates on the hospital’s Critical Care Multidisciplinary Quality Council, Infection Control Committee, Trauma Peer Review Committee, and Physician Advisory Group. Dr. Cole attended medical school at Bowman Gray School of Medicine. He completed his internship at Portsmouth Naval Hospital Surgery, his general surgery residency at Portsmouth Naval Hospital – Resident/General Surgery, his general surgery chief residency at Fairview General Hospital and his trauma/critical care fellowship at Washington Hospital Center. Conditions Dr. Engel treats include cholecystitis and gallstones, hernias, and all surgical emergencies. Procedures she performs include advanced laparoscopy, wound therapy, and hernia surgery. Dr. Engel is board-certified in General Surgery and Surgical Critical Care and is a member of the American College of Surgeons. She’s ﻿﻿﻿co-written medical articles and taught surgery as an assistant professor at the Texas Tech University Health Sciences Center. Additionally, Dr. Engel is fellowship-trained in Burn Surgery. 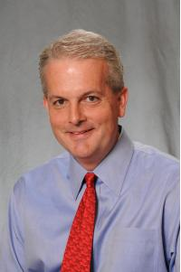 Dr. Barney is a surgeon in Portland, Oregon and is affiliated with Legacy Emanuel Hospital and Health Center. 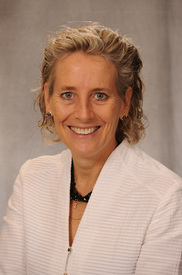 She received her medical degree from Indiana University School of Medicine and has been in practice for over 10 years. She is one of 25 doctors at Legacy Emmanuel Hospital and Health Center who specialize in Surgery.